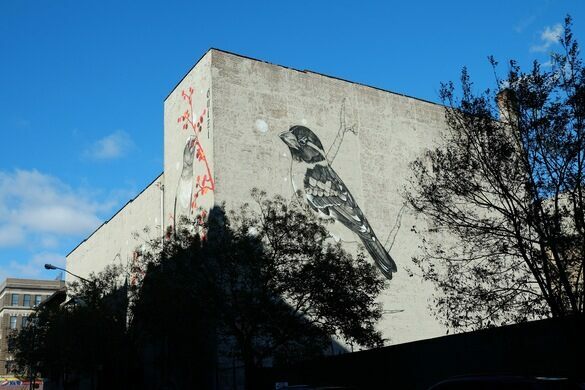 While wandering West Harlem, murals of birds will begin to catch your eye. 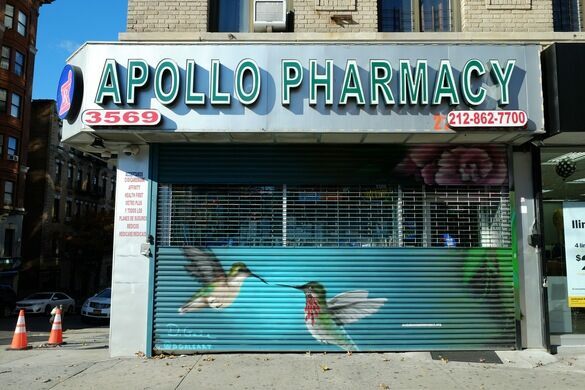 The more you explore, the more you’ll spot storefronts and apartment buildings decorated with these colorful depictions of various avian species. In a fairly concentrated area, there are 88 paintings to be found, but this is just the beginning. An ambitious project engineered by the National Audubon Society aims to complete 314 in total, with each one representing a North American species threatened by climate change. Gitler &_____ Gallery has partnered with the organization to commission artists, and each mural showcases a distinctive style. Some only appear at night, when shops are closed and locked up. Others are small and hidden in windows, while still more stretch across multi-story buildings. Once you’ve admired the prominent paintings, you’ll find yourself searching street-by-street for the more subtle pieces. Why Harlem? This area was home to John James Audubon, who is famous for meticulously documenting and illustrating hundreds of North American bird species in a series published in 1827. His passion for the natural world has made him a heroic figure in the eyes of later environmentalists. As Audubon is buried in Trinity Cemetery on 155th and Broadway, West Harlem is the perfect spot for the project. Just across the street from his gravesite is the most dramatic mural of the initiative, Swallow-tailed Kite (and Others). You can find a map here or explore blind and enjoy stumbling across them! It's best to visit on Sundays or late in the evening on weekdays, as many murals aren't visible until the spaces are locked up. The 1, B, D, A, and, C trains will get you to the neighborhood. 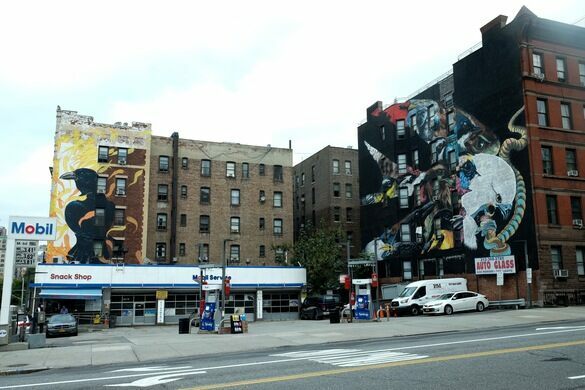 You can find the latest murals on the project’s website. NYC Audubon also offers tours, see its calendar for dates and times. The studio of influential composer Charles Ives is perfectly reconstructed, hidden in the back of the American Academy of Arts and Letters.